Seth Jefferson McKee was born on 6 November 1916 in McGehee, AR. Following graduation from Cape Girardeau High School in Missouri in 1934, he attended Southeast Missouri State Teachers College for three years and the University of Oklahoma for a half year. 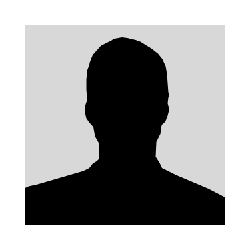 He began his military career in 1935 as a member of the Missouri National Guard. His Air Force career began as an aviation cadet in February 1938 and he graduated from flight training as a pilot in February 1939. From February 1939 until January 1944, he served in operations and command positions at squadron and group levels. He then went to the European Theater of Operations and was named Deputy Commander of the 370th Fighter Group in England. He assumed Command of the 370th Group in November 1944 and served in France, Belgium and Germany. During World War II, he logged more than 190 hours during 69 combat missions in the P-38 Lightning. He is credited with destroying two enemy aircraft. At the end of World War II, he returned to the U.S. and served at Boca Raton, FL, as Commander of the Army Air Forces Radar School. In January 1947, he entered the University of Oklahoma as a student officer and graduated in August 1947 with a Bachelor of Arts Degree in Government. After graduation he was assigned to Headquarters, Twelfth Air Force, March Air Force Base, CA, where he was Chief of the Operations and Training Division and later, Director of Plans. McKee entered Air Command and Staff School, Maxwell Air Force Base, AL, in July 1948. After graduation he served as Director of the Air Force Reserve at Twelfth Air Force until April 1950. In May 1950 he was assigned to the Air Force Section of the Military Assistance Advisory Group in Rome, Italy, as Chief Technical Advisor to the Italian Air Force. He held this position until July 1951, when he was assigned to Headquarters U.S. Air Forces in Europe, as Chief of the Training Branch, Operations and Training Division. In December 1951 he was appointed Commander of the 36th Fighter Bomber Group in Europe. He returned to the U.S. in June 1953 and was assigned to Headquarters U.S. Air Force as Staff Planning Officer in the Office of the Deputy Chief of Staff for Operations. In February 1954, he was named Assistant Secretary of the Air Force Council, Office of the Vice Chief of Staff. In July 1956, McKee was transferred to Hunter Air Force Base, GA, as Deputy Commander of the 308th Bombardment Wing and in December 1956 was assigned as Commander, 2nd Bombardment Wing. In August 1958 he assumed command of the 823rd Air Division, Homestead Air Force Base, FL. McKee was assigned to Headquarters, Strategic Air Command, Offutt AFB, NE, in October 1959 as Deputy Director of Plans and later was named Director of Plans. He became Commander of the 821st Strategic Aerospace Division at Ellsworth Air Force Base, SD, in February 1964. In January 1965, McKee was reassigned to Headquarters U.S. Air Force, Washington, DC, and named Director of plans, Office of the Deputy Chief of Staff, Plans and Operations. In July 1965 he was assigned duty as Assistant Deputy Chief of Staff, Plans and Operations for Joint Chiefs of Staff matters. He was named Commander of U.S. Forces Japan and Fifth Air Force with headquarters at Fuchu Air Station, Japan, in July 1966. McKee was appointed Assistant Vice Chief of Staff, U.S. Air Force in July 1968. 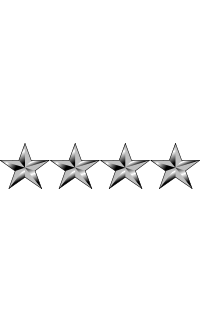 On 30 July 1969, McKee was promoted to the four-star rank of General and made Commander-in-Chief of North American Air Defense Command and Continental Air Defense Command, with headquarters at Ent Air Force Base, CO. In July 1973 he was assigned additional duty as Commander of U.S. Aerospace Defense Command. 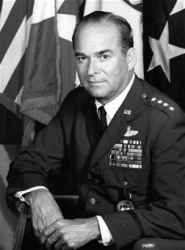 General Seth Jefferson McKee retired from the Air Force on 30 September 1973.